What is East Idaho Entrepreneurs? Hi! 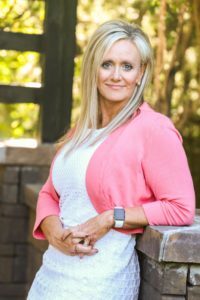 I’m Renae Oswald, host of East Idaho Entrepreneurs. 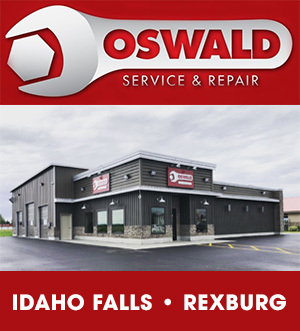 I am part of the duo that owns Oswald Service and Repair located in Idaho Falls and Rexburg Idaho. My husband is a third generation mechanic and followed in the footsteps of his father in providing excellence in automotive repair for Southeast Idaho. Together we have grown the business and increased our service to EI. I am a nurse and have been for 28 years. 20 of those years have been spent in nursing leadership. Those years have taught me so much about leading and growing teams, managing operations, and navigating the challenges that growing businesses bring. I’ve also wanted to have the opportunity to have my own business and so I’ve partnered with Rodan + Fields to educate and provide excellent skin care and turnkey entrepreneurial opportunities for others. This has been one of the most fun ventures I’ve ever taken! I’ve always considered myself a student and love learning from those around me. With that thought I became interested in Podcasts and started making them a part of my daily life in the summer of 2016, I haven’t been able to get them out of my system since! I found that there is so much to learn and such great information and people to get to know when I listen to podcasts. My favorite show is an NPR podcast called How I Built This. In this podcast, the host, Guy Raz, interviews entrepreneurs and innovators of businesses and products that we all know and love and learns their stories of how they got to where they are. These stories are inspiring and have given me encouragement when my challenges seemed tough. I wanted to learn more about businesses that I frequented in East Idaho, to share in their journeys, but I couldn’t find a place where these stories were told. I also felt that residents of EI should have a place to hear these stories so they could get to know their neighbors better and understand what it takes to provide the services that they do. Inspired, I decided I needed to host a podcast where these stories can be told and East Idaho Entrepreneurs podcast was born. To book and schedule future guests I depend on your recommendation of local business owners, inspiring entrepreneurs, and influencers in East Idaho. In other words, who should I Interview? Have a recommendation? If you know of someone who has an important message or story to tell, please introduce us. My email is renae.oswaldserv@outlook.com. Thank you!